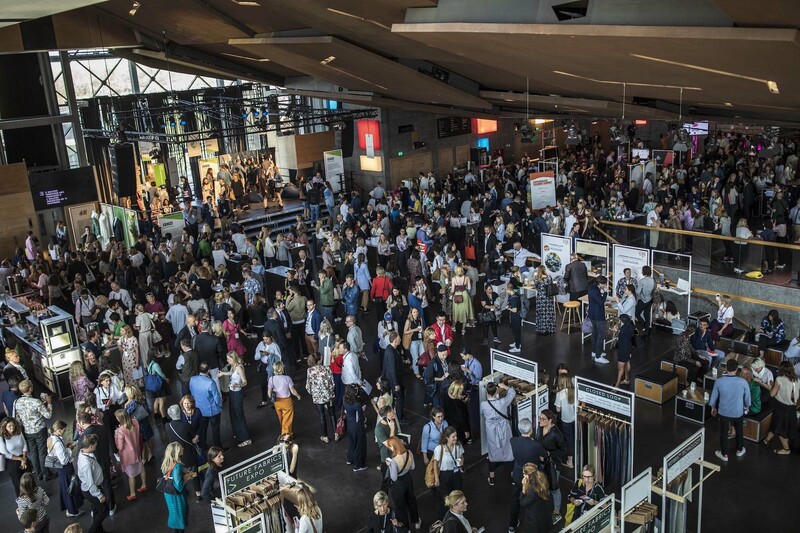 We attended the Copenhagen Fashion Summit and enjoyed it as it was a great anchor for international networking, keynotes, and discussions. 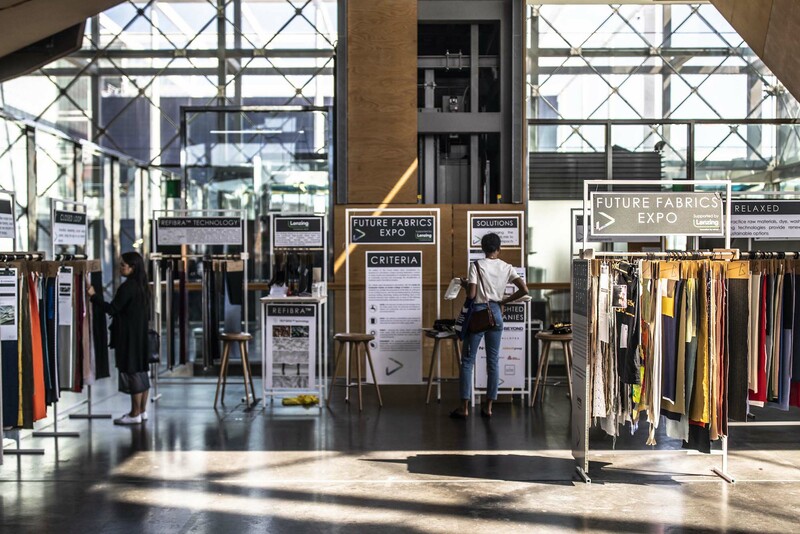 The aim of the summit is to find new innovative solutions for a more sustainable fashion industry. 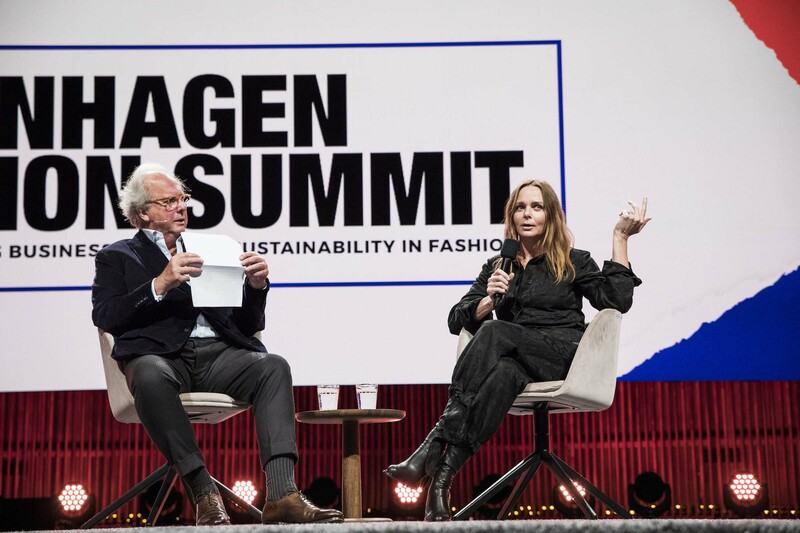 Read more about the Copenhagen Fashion Summit 2018 and our first report. 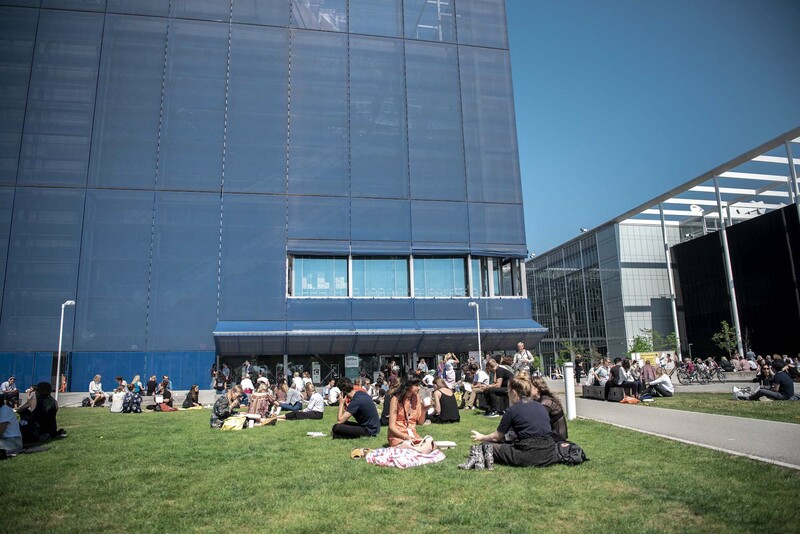 Copenhagen Fashion Summit is the leading business event on sustainability in fashion, with the aim of mobilizing the global fashion system to change the way we produce, market and consume fashion, for a world beyond next season. The event was organized by power woman Eva Kruse, CEO of summit organizer Global Fashion Agenda and with female support from Cecilie Thorsmark (Communication Director) and Caroline Chalmer (COO) as well as Jonas Eder-Hansen (Summit Programme Director), Morten Lehmann (Chief Sustainability Officer) and Johan Arnø Kryger (Business Development Director). 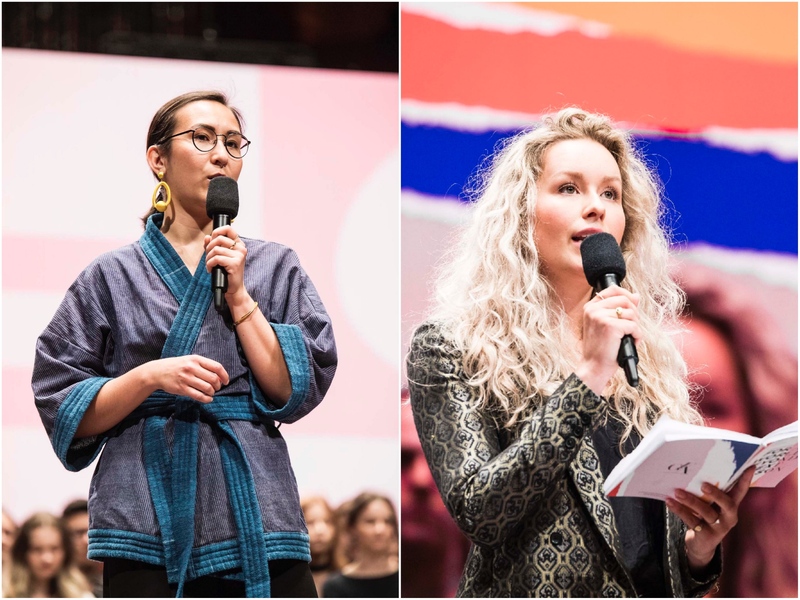 The summit took place on 15 and 16 May 2018 in the Copenhagen concert hall with the main theme: “Take It From Words To Action“. 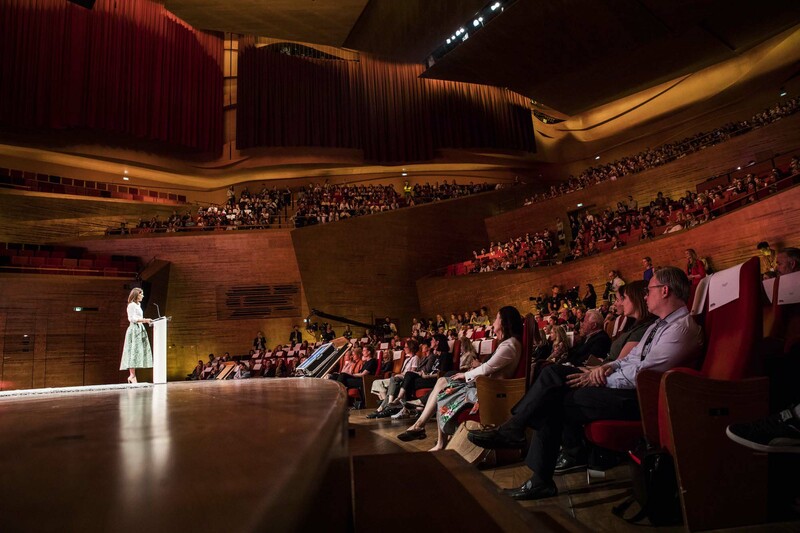 This year´s summit was the largest ever with a two-day conference. 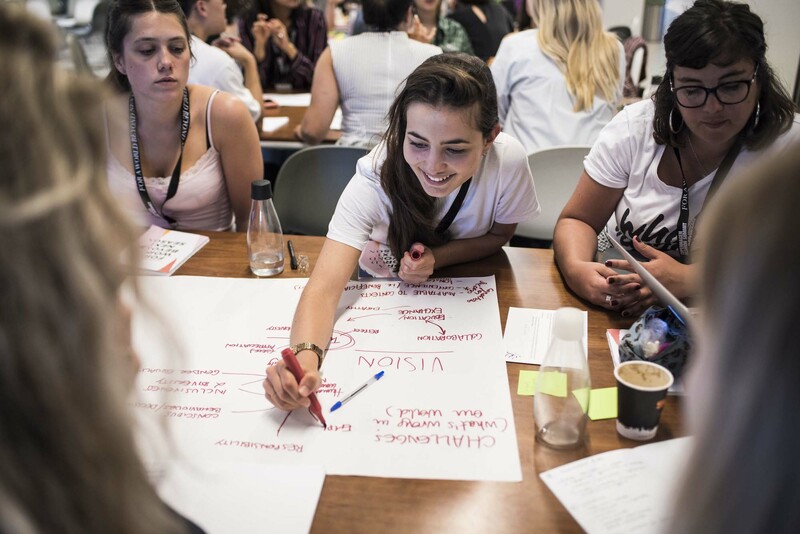 More than 1300 players from the fashion industry, politics, NGOs, science and media (including MOCHNI) from more than 50 countries around the world came together to discuss the future of sustainable fashion. 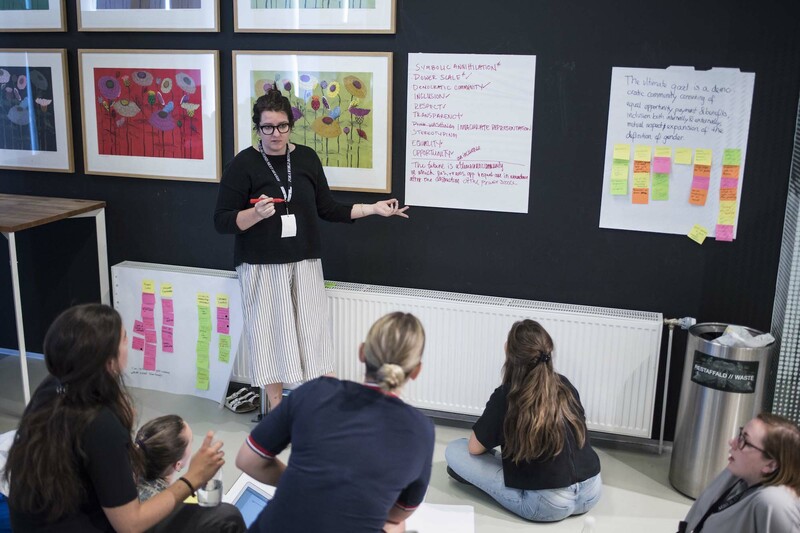 Since almost 60% of the participants come from top management, the motivation to discuss the topic is great, because: All top managers want to sell clothes with less impact on the environment and find a solution together. 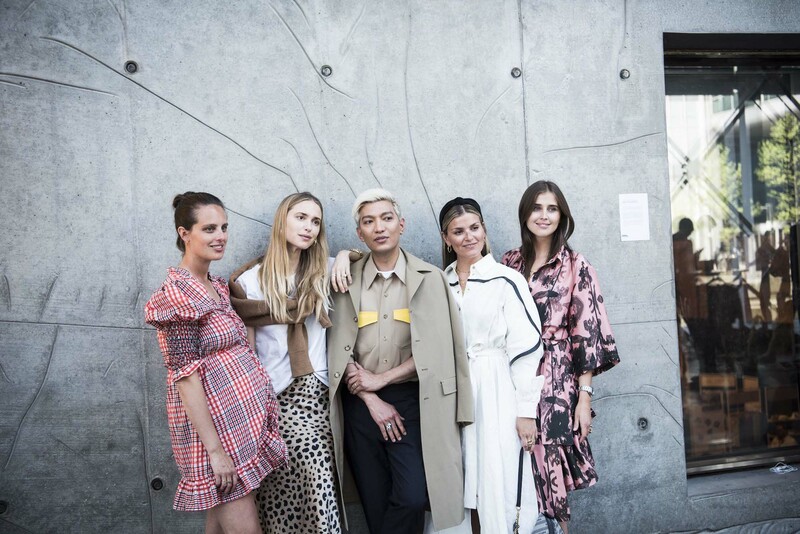 The guests represented 53 nationalities, with 60% growth in participation from Asia which is interesting as most fast fashion brands produce in the low-cost zones of Asia. The main sponsor of the summit was ISKO™, the world’s leading manufacturer of high-quality denim. 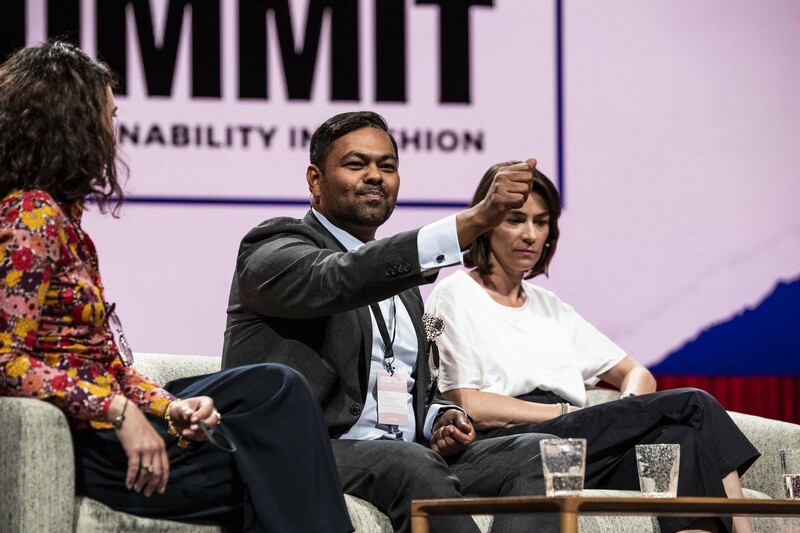 Strategic partners of the summit include H&M Group, Kering, Target, Bestseller, Sustainable Apparel Coalition, Li & Fung and their knowledge partner Boston Consulting Group. 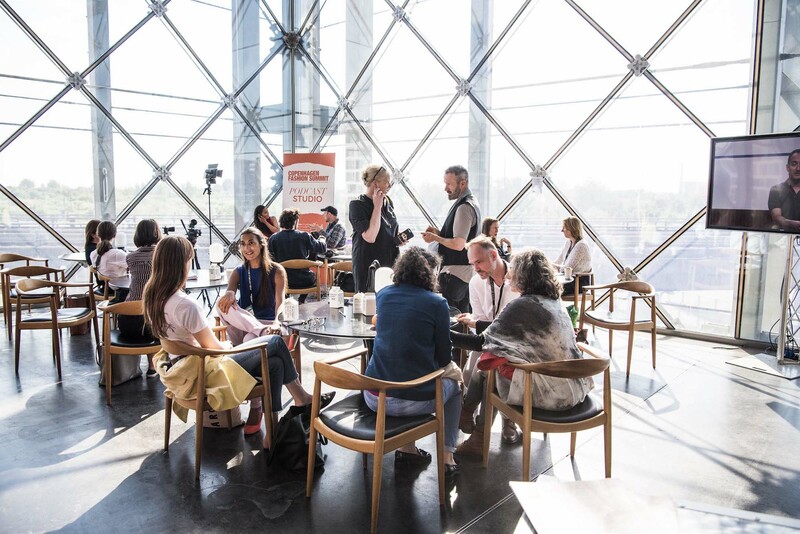 The summit focused on the eighteen 10-40 minute panels and deep dive sessions with 75 stage speakers, which took place on the stage of the beautiful concert hall. 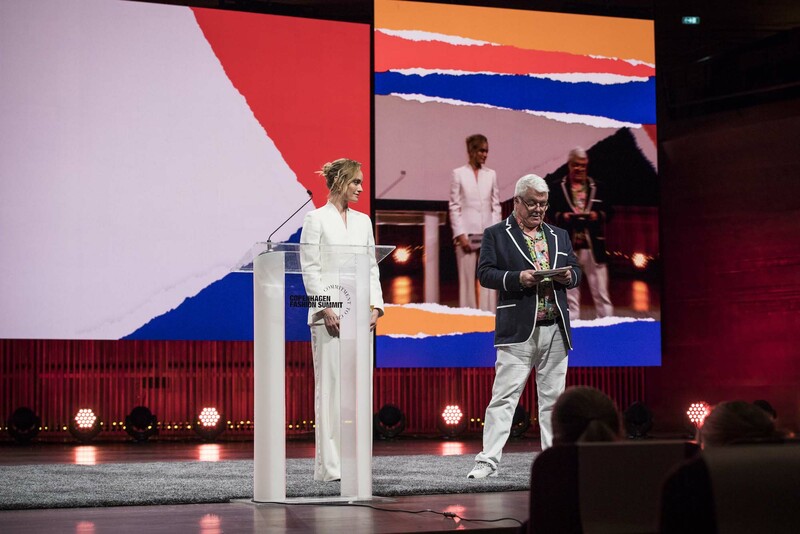 The hosts were Amber Valletta, actress, model and entrepreneur, and Tim Blanks, editor-at-large of Business of Fashion. A very special highlight was the Crown Princess of Denmark’s visit and her inspiring opening speech on the second day. Speakers included Stella McCartney (CEO and designer Stella McCartney), Carry Somers and Orosla de Castro (Founders of Fashion Revolution), Clare Press (Sustainability editor-at-large Vogue Australia), Anna Gedda (Head of sustainability at H&M), David Fischer (Founder Highsnobiety), Dio Kurazawa (Founder of The Bear Scouts), Mostafiz Uddin (Managing director, Denim Expert Ltd. and founder & CEO, Bangladesh Apparel Exchange), Nicolaj Reffstrup (CEO of Ganni), Pamela Batty (Vice President and Corporate Responsibility at Burberry), Paul van Zyl (CEO Maiyet), Paul Dillinger (Levi Strauss & Co.), Sébastien Fabre (CEO & CO-founder of Vestiaire Collective), Tonne Goodman (Fashion Director Vogue US) and many more. “Have you ever been asked if your brand is sustainable?” David Fischer, Founder Highsnobiety. 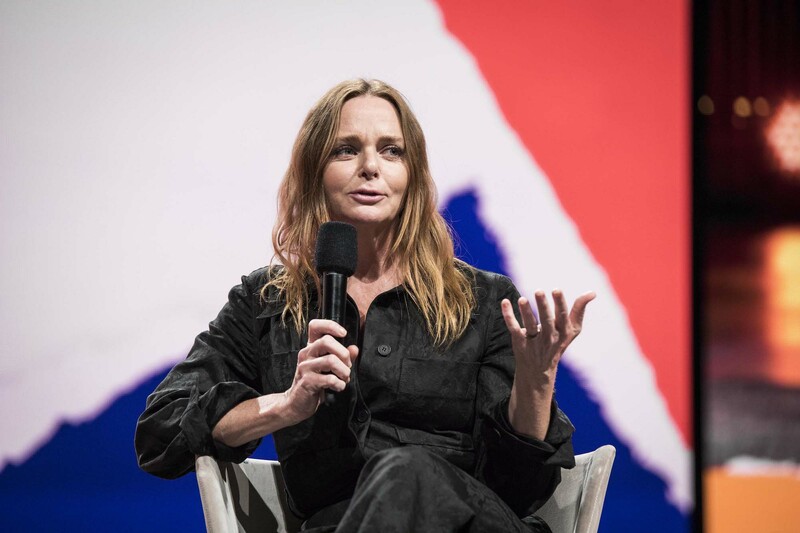 “You pay 30% more tax when importing non-Leather products into the USA!” Stella McCartney, Founder and Designer Stella McCartney. 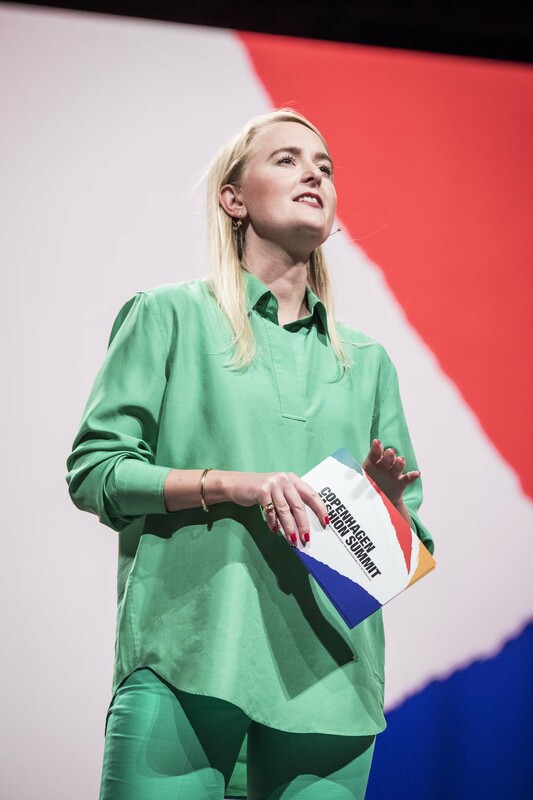 “It´s just the beginning of the journey.” Anna Gedda, Head of Sustainability at H&M. 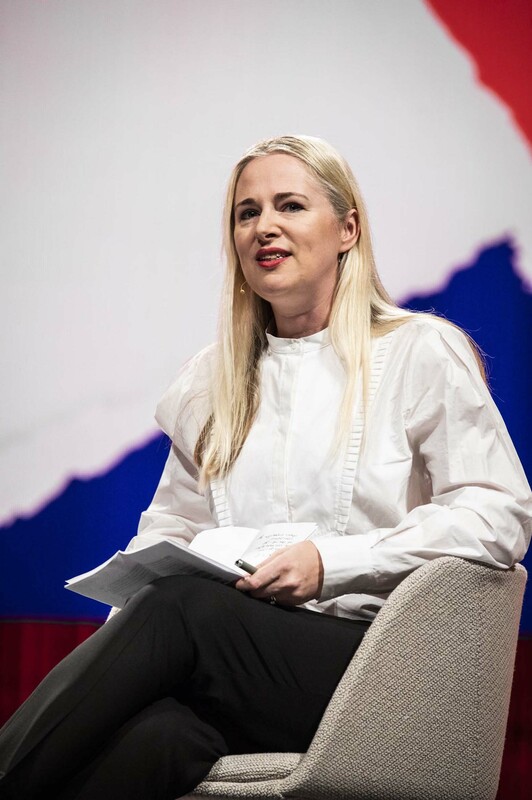 “Our goal is to have 100% sustainable materials by 2030 and 100% of cotton will be from sustainable sources sooner.” Anna Gedda, Head of Sustainability at H&M. 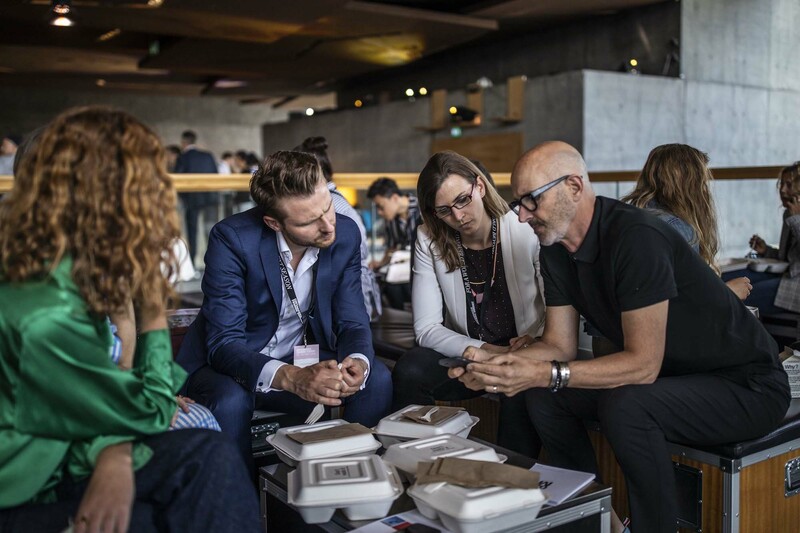 “Fast Fashion is not a problem.” Douwe Jan Joustra, Head of Circular Transformation, C&A Foundation. “Stop! Hate! Do!” Simon Collins, Founder & CEO, Fashion Culture Design Series. 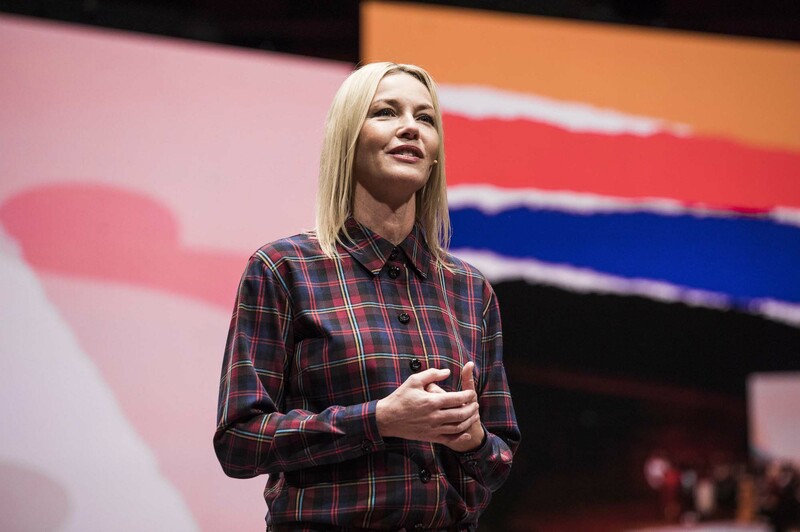 “Stop talking – time for action.” Eva Kruse, CEO Global Fashion Agenda. The hosts Amber Valletta, actress, model and entrepreneur, and Tim Blanks, editor-at-large of Business of Fashion. 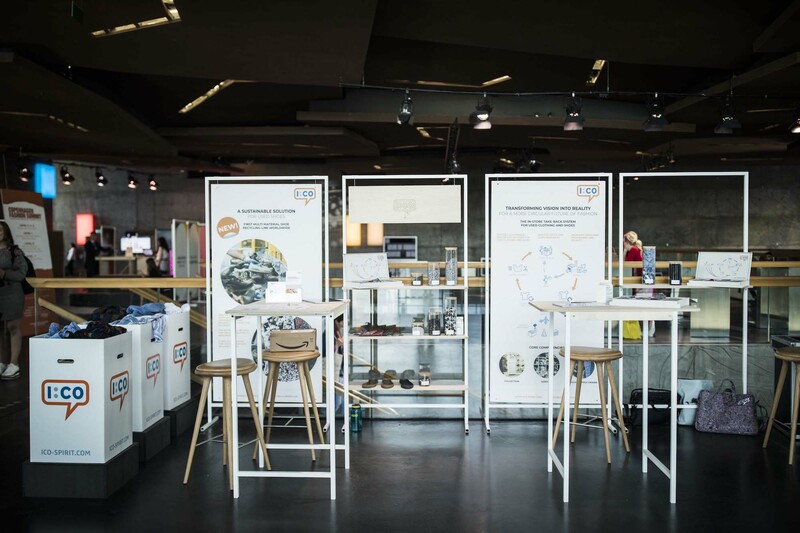 In addition to the stage speakers and panel discussions, an Innovation Forum with an exhibition area of 44 different companies for sustainable solutions along the entire value chain (e.g. 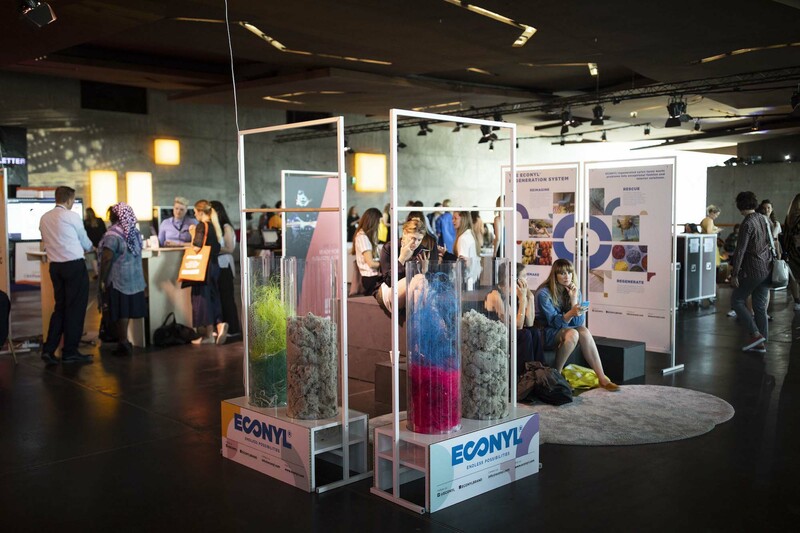 Piñatex®, ISKO™ , ECONYL®, Sustainable Angle and many more) was set up on 3 different areas in the concert hall, where you could hold speed dating appointments with these companies. 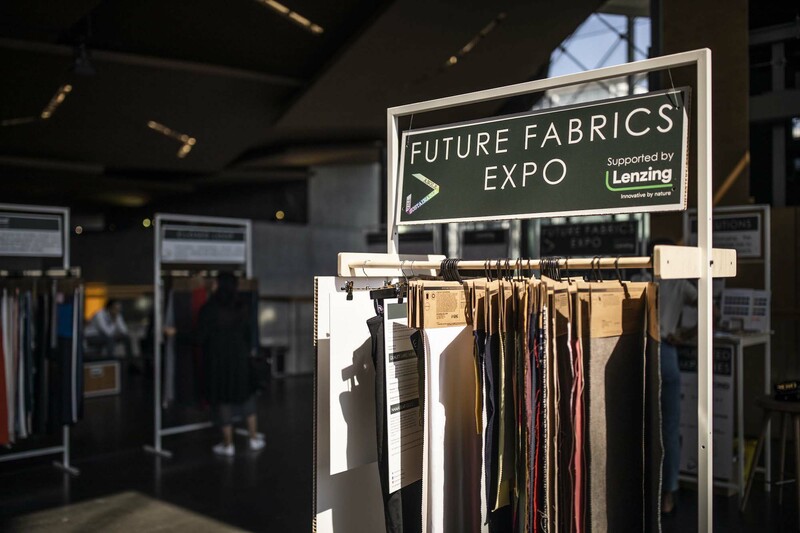 Part of the Innovation Forum was the Future Fabric Expo, supported by Lenzing Group, which presented a curated range of innovative sustainable fabrics. Another new addition was the pitch stage, where innovative start-up companies were able to present their ideas. 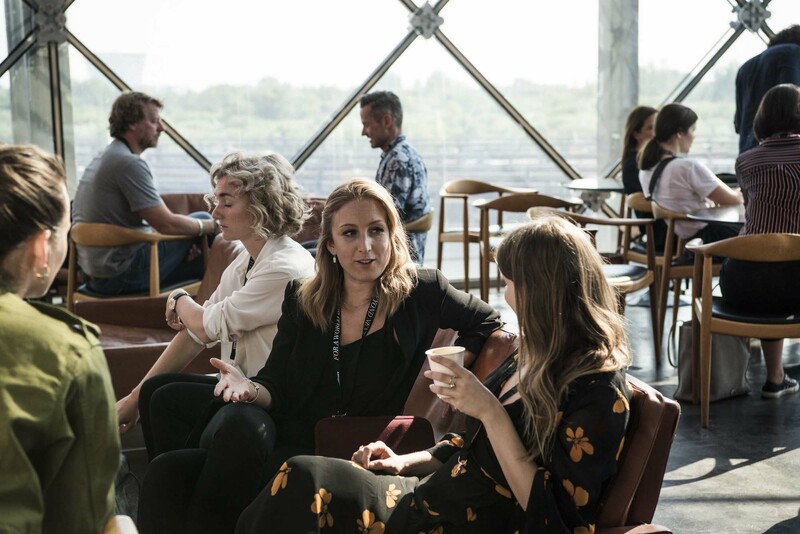 In addition to all these activities, several side events and round table discussions took place at the Eco Luxury Hotel SKT. PETRI. One of them was the side event “Generation T” which was about how to unlock the power of Gen T to transform the industry. 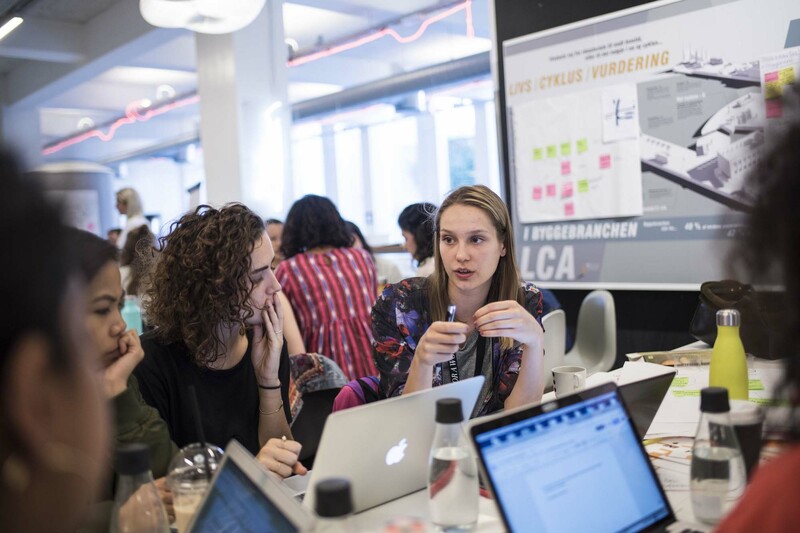 Also in connection with Copenhagen Fashion Summit, +100 students from world´s leading design and business schools (Central Saint Martins, Parsons NYC, Hamburg University of Applied Science, University of Texas at Austin, Amsterdam Fashion Institute, California College of Arts, and many more) gathered for the Youth Fashion Summit on 13-15th May to challenge the established industry with critical ideas on how to move forward. 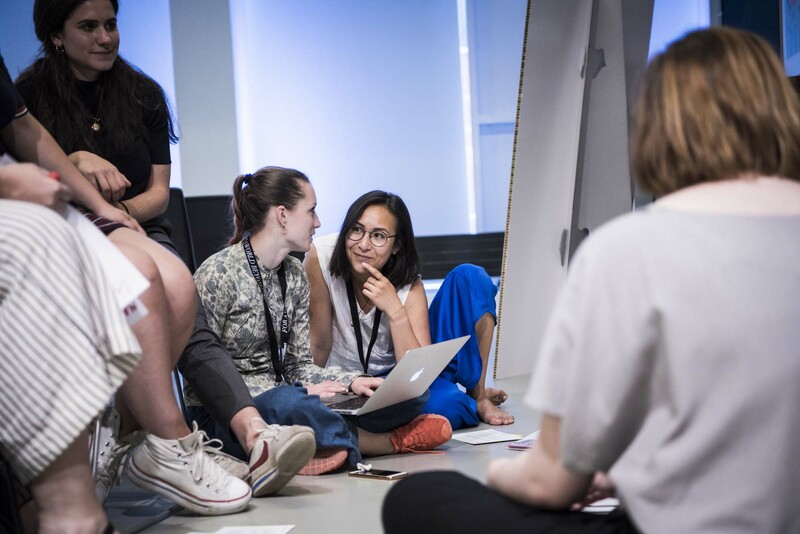 The Youth Fashion Summit is put together by Copenhagen School of Design and Technology (KEA) and Global Fashion Agenda (The non-profit organization and organizer behind Copenhagen Fashion Summit), in a unique collaboration with the United Nations Global Compact and PANDORA. Every day a delicious, healthy, and sustainable lunchbox was served. Coffee, tea, and water in sustainable boxes were available to take away during throughout the summit. There was a goodie bag with eco-pen, notepad, program, and a sewing kit on each seat. Security check, wardrobe for large bags and coats, helpdesk where name tags can be collected and free Wi-Fi were available. It was also possible to buy a ticket for the welcome dinner at Eco Hotel SKT. PETRI. 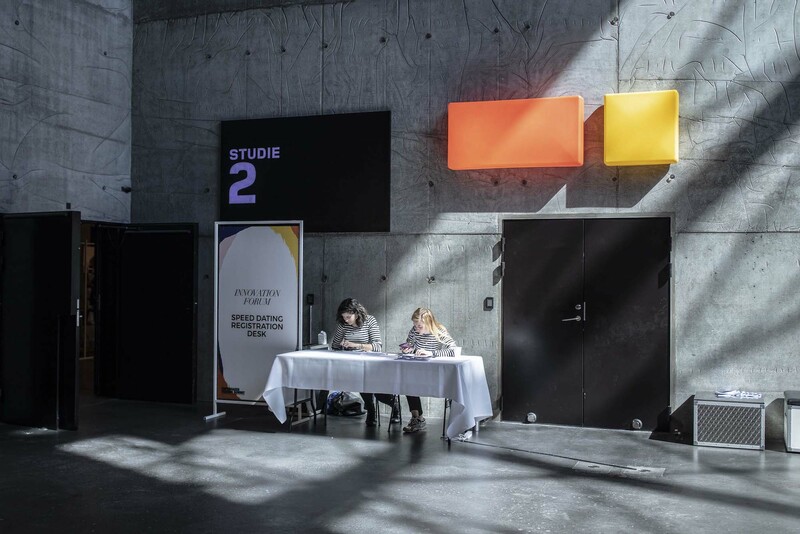 On the second day, the Copenhagen Fashion Summit distributed a book: Pulse Of The Fashion Industry Report 2018. Read further to find out what it is about. 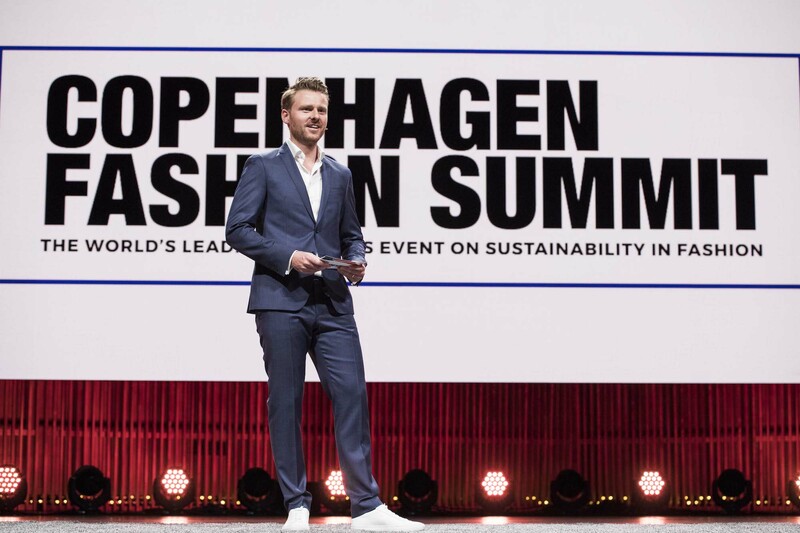 The company behind Copenhagen Fashion Summit is the non-profit organization Global Fashion Agenda, a leadership forum on fashion sustainability. 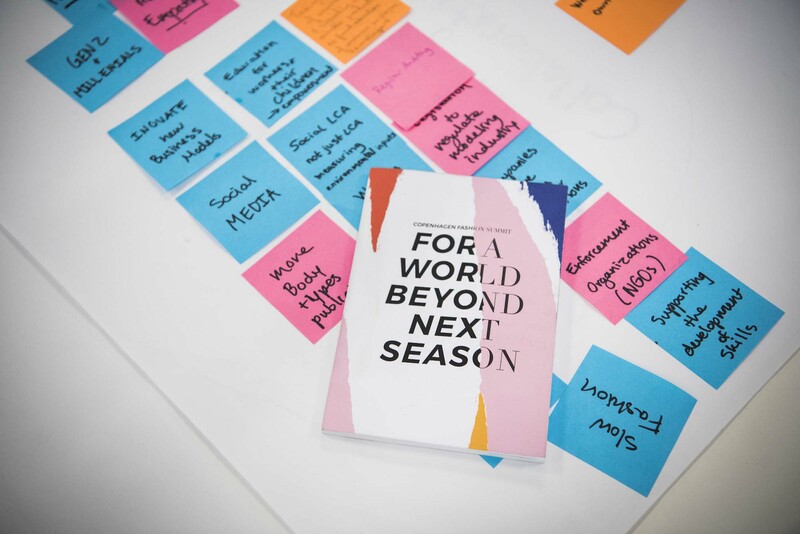 Global Fashion Agenda and its knowledge partner Boston Consulting Group together with a group of strategic partners such as Kering, H&M, Target, BESTSELLER, Li & Fung, and Sustainable Apparel Coalition have prepared the report “Pulse Of The Fashion Industry 2018”, which you can download here. 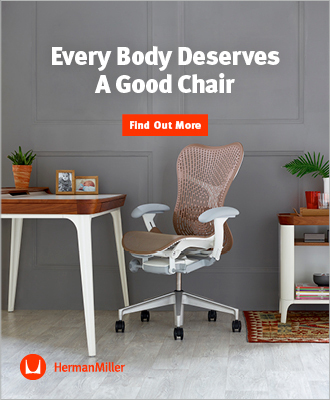 This annual report follows the strong belief that the environmental, social and ethical challenges the industry faces today are not only a threat, but also an immense, untapped opportunity for creative value. The report is based on the brand module of the Sustainable Apparel Coalition´s Higg Index, which recognizes policies, such as water consumption, and social factors, such as labour practices. The Higg Index is the most extensive and representative existing measurement tool for the industry. It covers the majority of large companies and was extended to include small to medium-sized players. 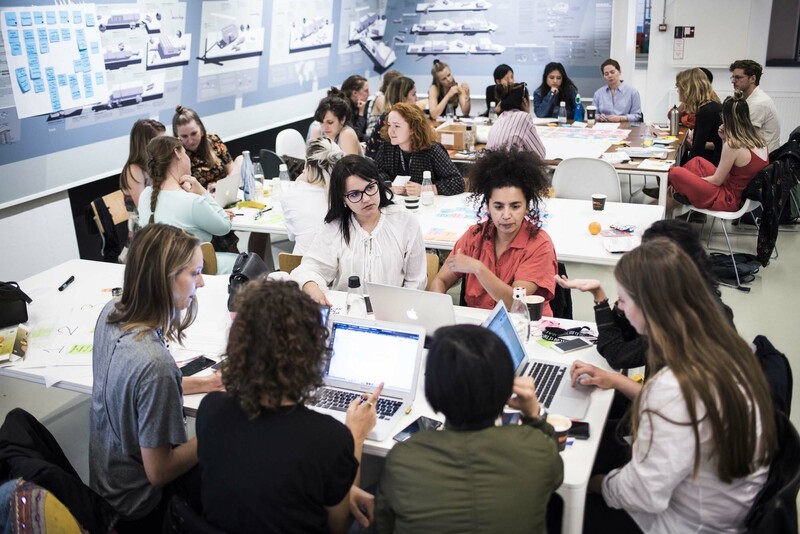 As part of the 2018 report, the Group developed a “CEO Agenda 2018” guideline with 7 sustainability priorities for managers in the fashion industry. – Change has to be made within the company. 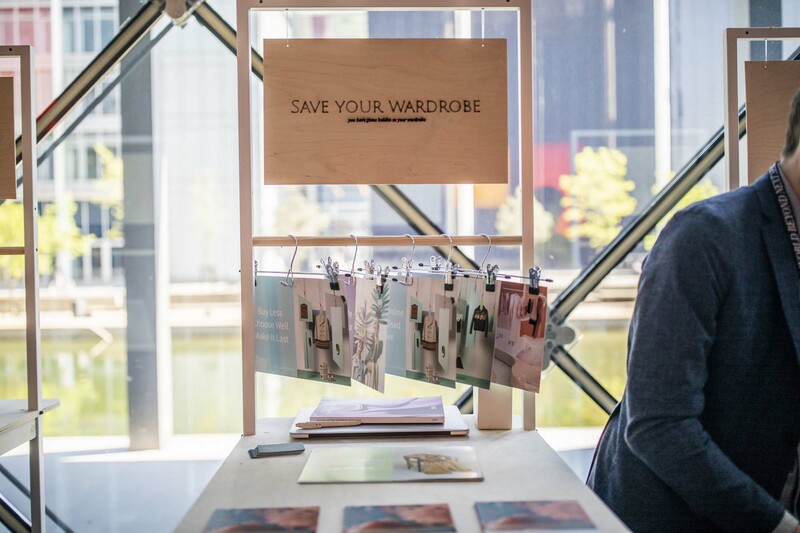 – Fashion companies are not experts in sustainability. So we only can drive the change together in a community. – We need equal standards for at least the Europen Union: A standard for fair trade and sustainability that allows clothes to be sold within the EU or not. Until then: Be an activist, get fired, stop!, hate!, do! something. 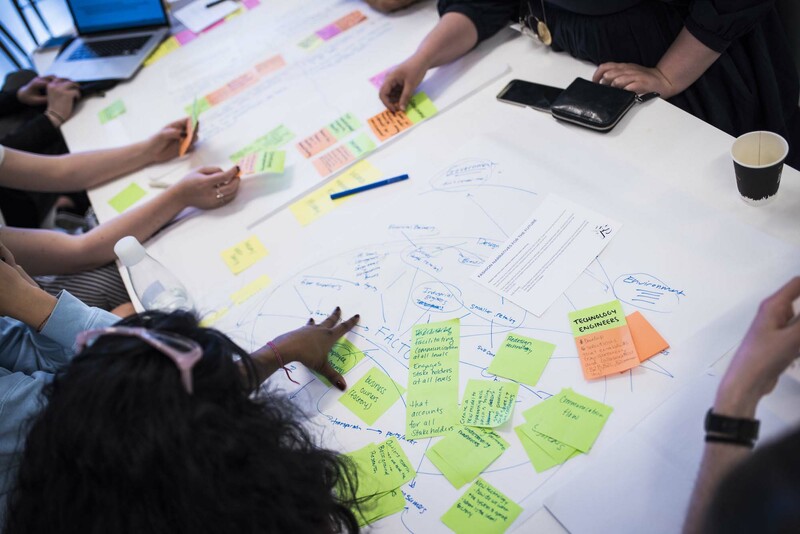 – Design for the next use to ensure a closed loop system, stand for something politically. Tell a story around your values, that is what costumers like. – 2020: 46% of the industry in general will be more focused on sustainability. Change starts with 1 person and everyone should try! 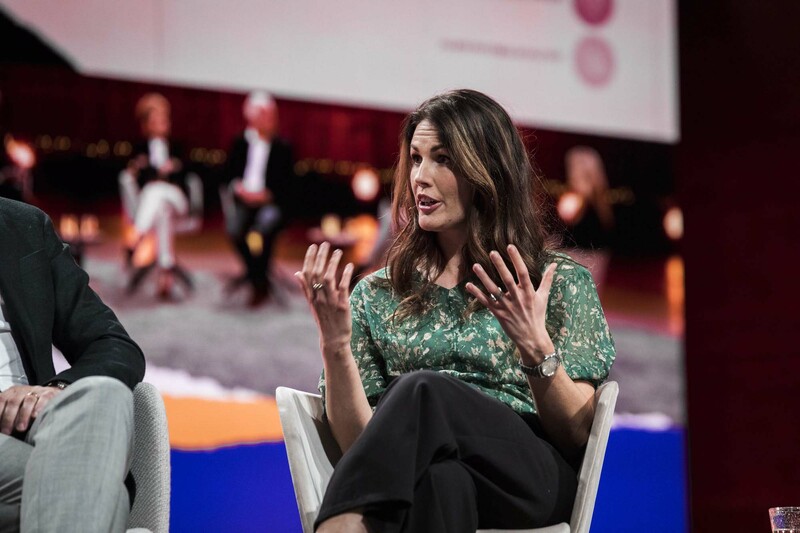 Eva Kruse (CEO Global Fashion Agenda) and the Crown Princess of Denmark. 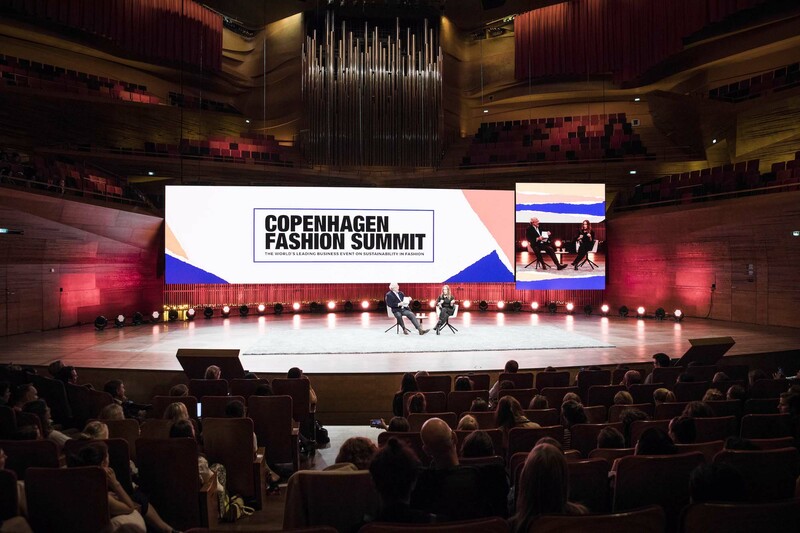 See you next year COPENHAGEN FASHION SUMMIT – 15-16 MAY 2019! International bloggers, Middle: Bryan Boy.